Whether you are relocating to Anchorage or you have plans to upgrade or downsize with a new home purchase in the near future, you want to spend time looking for the best neighborhood fit. 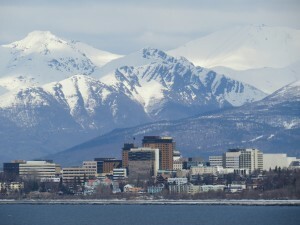 Anchorage is by far the most populated city in the state, having more than 40 percent of Alaska’s residents living in the metropolitan area. Because of its size, there are numerous neighborhoods that you can consider living in. Among the many options, there are several premier destinations that may be perfect for you and your family to choose. The Huffman O’Malley community is rather large in size, and it is located just south of the downtown Anchorage area. In addition, it sits strategically between the picturesque Chickaloon Bay and the Coast Range. Because of this, residents are surrounded by natural beauty. Homes in this community range in price from around $300,000 to over $650,000. In addition, they may be smaller in size with around 1,500 to 1,600 square feet of living space to over 2,700 square feet of living space. Homes are older in age, and many were constructed in the 1980’s or prior. This gives the community an established, traditional ambiance. Most of the homes in this community are priced over $500,000 and offer a luxurious ambiance. In fact, there are several gorgeous homes for sale that exceed the $1 million mark. The community is located to the east of Huffman O’Malley, and part of the community extends northward into Hillside Park. Most lots are at least a half-acre in size, and many are several acres. With towering trees and large lots, this is a gorgeous community. Land can be purchased in Mid-Hillside for new construction, and there are also many existing homes for sale that range in size from around 2,500 square feet to over 7,500 square feet. For those who have the desire to purchase an affordable home in an established neighborhood close to downtown Anchorage, Rogers Park is ideal. This community is just minutes from downtown Anchorage, and many homeowners here will enjoy the ability to walk to popular parks such as Woodside Park, Sitka Street Park and others. Homes here are priced between about $225,000 to just under $500,000. These homes may be smaller in size, with just under 1,000 square feet, to over 3,000 square feet of living space. Many homes in Rogers Park were constructed in the 1960’s or the early 1970’s, providing residents with a traditional atmosphere. Whether you are looking for an estate home or a more affordable home for your family to live in, there are several gorgeous communities that you can consider moving into. Each of these communities have a special charm of their own, but they also have different features and benefits that may make one more ideal for you to choose over others. By getting to know more about these highly coveted communities in Anchorage as a first step in the home buying process, you can more easily narrow down your real estate choices when working with a real estate agent and making a buying decision.